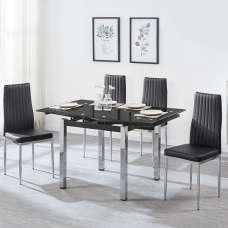 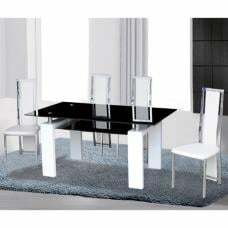 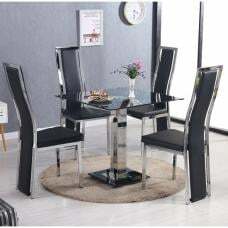 This dining set reflects true contemporary design with its pedestal table and black and chrome chairs. 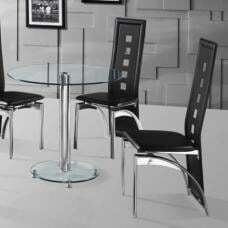 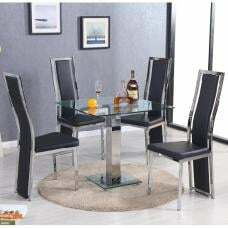 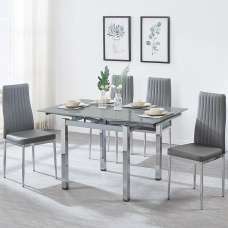 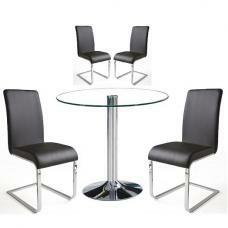 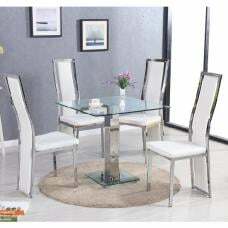 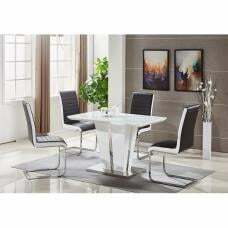 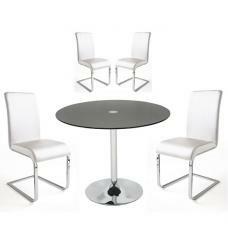 This Brent Round Glass Dining Table with 4 Chairs is the ultimate in sleek modern style for your dining room. 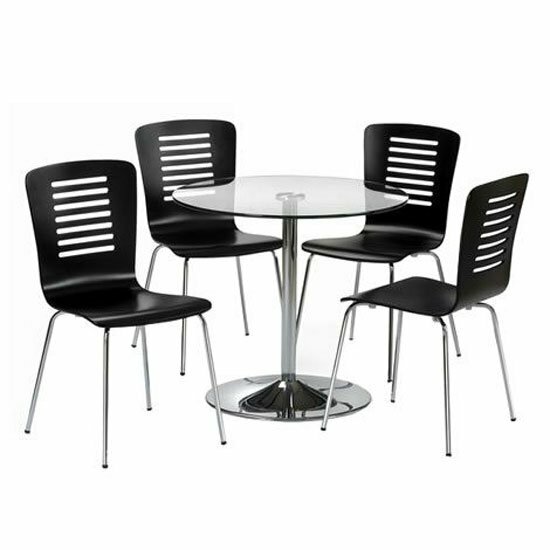 Beautifully designed with a black and chrome finish, the dining chairs are a striking and complementary contrast of bold colours. 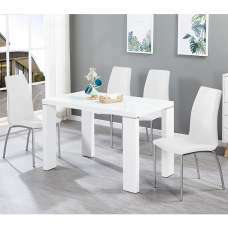 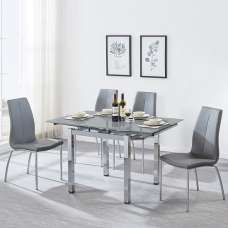 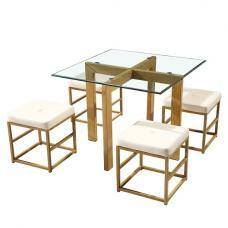 The pedestal table is very easy to pick up and move around the room and it can comfortably seat 4 people. 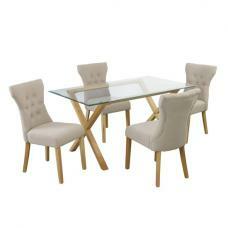 Perfect for a cosy and casual dinner with friends.